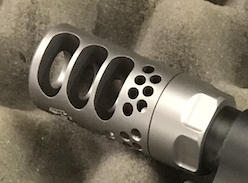 Muzzle Brakes are now IN-STOCK! Many calibers available and superior performance. Order yours today by clicking on the link below. From trigger work to upgrading a barrel, we do it all. RAPID FIRE custom AR-15's you can own without an FFL. Packages for the beginner to the most discerning marksmen.